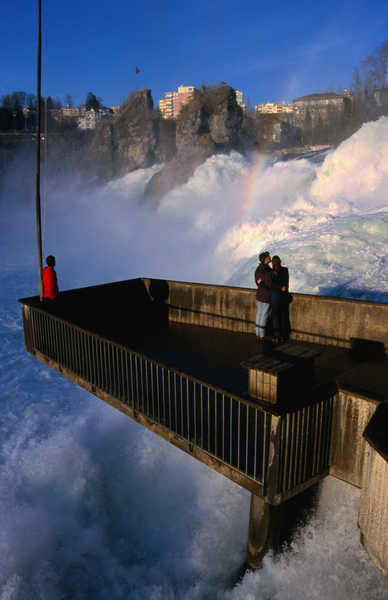 The Rheinfalls near Schaffhausen are the largest waterfalls in Europe but not as famous as the Niagara Falls. 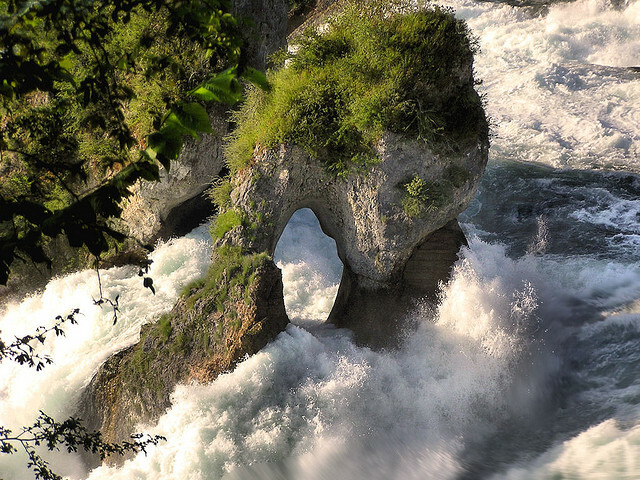 The Rheinfall or also called the Rhine Falls is about 75 feet high with a massive volume of water passing through. It’s a resplendent sight with the Laufen Castle situated above the falls amidst the beautiful environment. The Laufen Castle is an old structure from the medieval times which has a path to walk through which overlooks the waterfalls immediately. 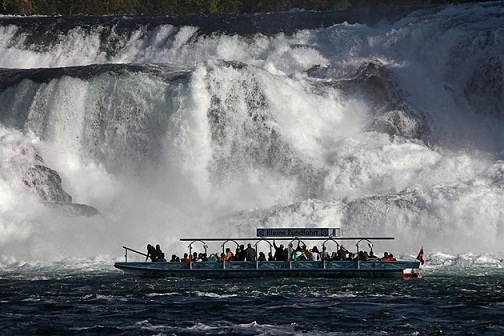 You can even take a boat ride to the waterfall and get wet as the boats take you to the rocks in the center of the falls from where you can proceed on foot to the top and cross the river in front. You can also go bicycle riding and walking along the marked trails. 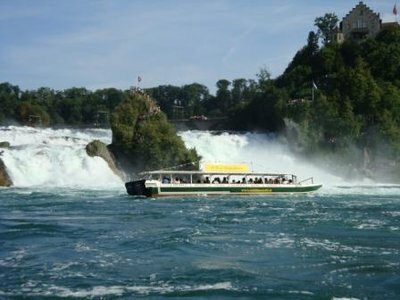 The Rhine falls area is located near the town of Schaffhausen which is part of northern Switzerland and near the German border. You can take a train from Zurich.